. إن الخدمات الممتازة وحسن الضيافة العالي في فريسينيه لودج تجعل إقامتك تجربة لا تنسى. يمكن لضيوف الفندق الاستمتاع بالميزات التالية على أرض الفندق: مرافق مخصصة لذوي الاحتياجات الخاصة, تسجيل وصول/خروج سريع, تخزين الأمتعة, واي فاي في المناطق العامة, صف السيارات . استمتع بوسائل الراحة الراقية في الغرف أثناء إقامتك هنا. بعض الغرف تتضمن تلفزيون بشاشة مسطحة, حوض الاسترخاء, غرف لغير المدخنين, مكيف هواء, تدفئة لمساعدتك على استعادة طاقتك بعد يوم طويل. يقدم الفندق مجموعة رائعة من الخدمات كمثل ملعب تنس, حديقة، لجعل إقامتك تجربة لا تنسى. يحظى فندق فريسينيه لودج بموقع ممتاز وخدمات يصعب منافستها. Mountain view, checked. Sea view, checked. Sunset view, checked. Beach access, checked. Minutes away from most tourists attractions. Room is awesome! Met wallabies around my rooms. Will come back to stay longer for sure! Like an oasis in the national park. Freycinet Lodge is unreal! My husband and I stayed here for a night while on our honeymoon, and even just driving into the property we already wished we had stayed here longer. We booked a Coastal Pavilion and the woman checking us in reserved #69 for us - the best pavilion at the end of the property with a private trail to Honeymoon Bay. The pavilion itself is incredible - the simplicity and architecture of the building is beautiful and instantly connects you with your surroundings. There was a bottle of chilled wine waiting for us and we celebrated on the spacious deck and hammock. The outdoor bathtub is also so unique, and I had one of the best night's sleep in the king bed. The staff all throughout the property were so welcoming - I definitely want to visit Freycinet Lodge and Tasmania again sometime in the future! Booked the deluxe spa room which has a jacuzzi bathtub. Love it. The bed and room was comfortable. My complaint is that there is no wifi access in the room we were in. We had to go to the main lodge to get wifi access. And the other complaint is that this place was pricey. Limited vegetarian/vegan menu at the restaurants. Lovely place, bed not very comfortable:(( food in restaurant over priced & average at best. Waiters nice but not enough of them, too busy & mistakes made. Pork dry but oysters very good. Wine list very expensive $13 for small glass of Chardonnay. Bistro ok. Quiet & clean. Reception staff very good but very busy. It was really a lovely stay right smack in the national park. The location is great as we are able to visit and revisit various places of interest in the park. The chalet that we stayed were so comfortable and has all the modern amenities (just no wifi...need to go to the central reception and restaurant). The "residential" wallaby was lovely greeting us every morning at our doorstep! The children loved this place! Stayed with my older parents here. Great service and beautiful location. Enjoyed the beautiful scenery while having our breakfast. Definitely recommended. 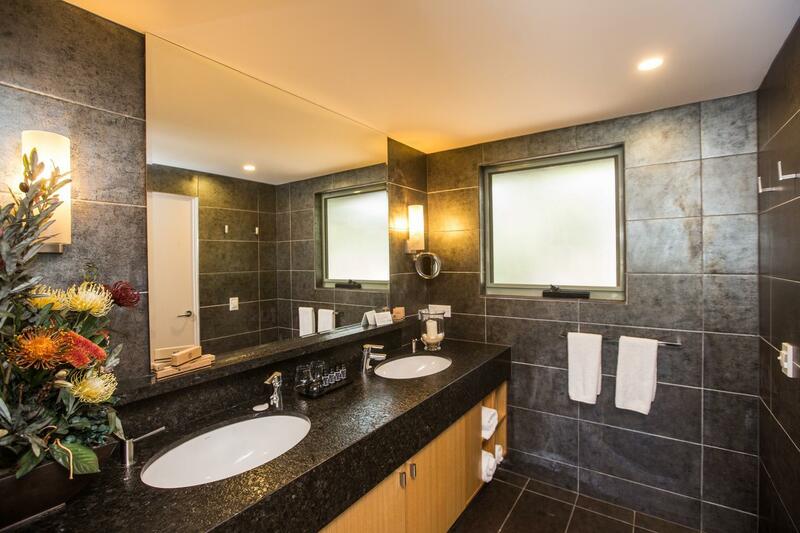 Pricey but location trumps it. Bit disappointed with the lack of basics in the kitchen to try and cook a meal. Separate room for the kids with their own TV was good. Lots of storage space for bags and packs and a great utility space in the entry to hang coats and take your boots off. Location was within the national park with fabulous views from the restaurant. Restaurant is a little overpriced for the quality of the food but overall a good experience. The staff and room was great. 4 star easy! We really enjoyed our stay at Freycinet Lodge. We felt relaxed as soon as we arrived location was great within easy walk of honeymoon bay which is a must to visit first thing in the morning. Staff were lovely and room was nice and comfortable. 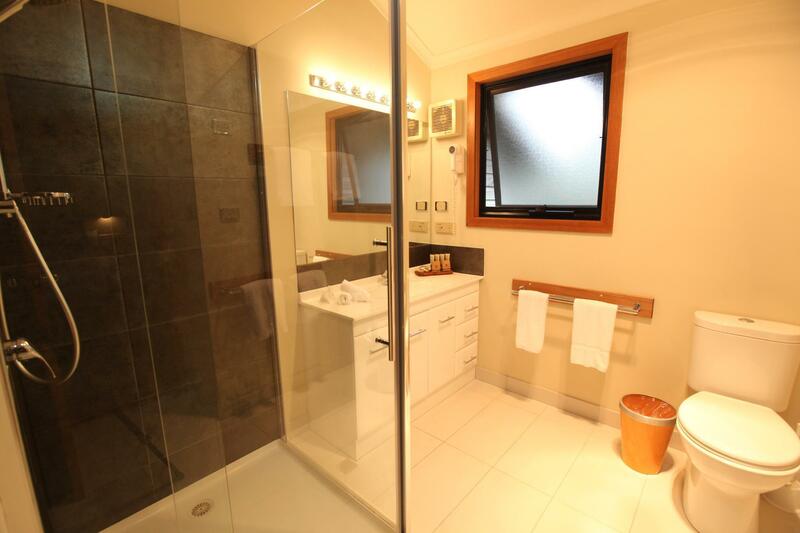 Very clean place and functional as well. Kitchen is a little small but still functional. Breakfast in the morning is good as well. Very friendly staffs, even help me to print out my park pass when I forgot about it. Had a wonderful time there. We were at Freycinet Lodge to collect race number plate. Freycinet Lodge is one of the sponsors for the race event. There's a bistro at the corner and several other dining places. Beautiful sunset scenery and near Wineglass Bay. 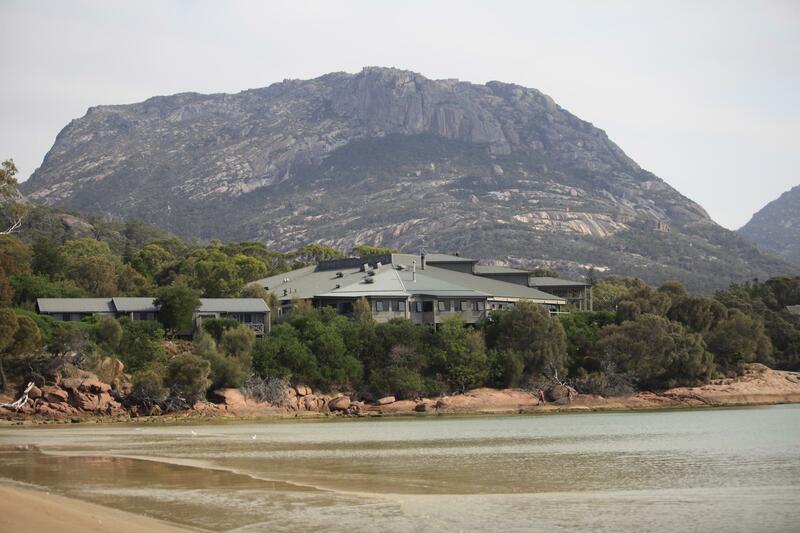 The lodge is within the Freycinet National Park and those who want to do all the walks and enjoy a great view of the Bay for sunset from its Bistro should choose Freycinet Lodge. Staff member Estelle is outstanding for her knowledge, warmth and willingness to offer help. We will remember her and the Frecycinet Lodge. Room was perfect in perfect location. Just kinda expensive. I have just stayed one night, and exploration around was so much of fun. Lighthouse, bay, beautiful sunset, but the dock is closed (booking this hotel is attracted by the dock but it is not for tourists). Restaurant was perfect, especially the local wine (unfortunately I've forgot the name). Anyway, it is nice place. A really nice play to stay - my cabin was right near Honeymoon Bay where you get a beautiful view of the sunset. 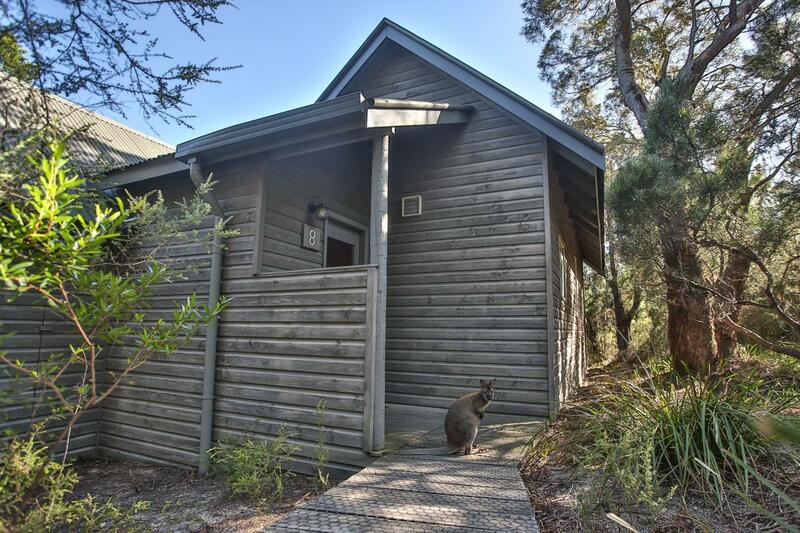 The cabins are actually located in the Freycinet National Park, close to Wineglass Bay and other walking trails, but only a short drive back into town. The only downside was that when I arrived my room wasn't quite ready so I went off to do other things. I had no problem with this at all, but the receptionist didn't advise me at this point to make a booking for dinner so when I arrived later in the day to check in, the restaurant was already fully booked. No problem cause I just had the instant noodles provided in my cabin instead, but it would have been nice to know as I would like to have had a nice meal here. We enjoyed the room a lot. fantastic view from our room, the balcony n bathroom hv a generous view of the beach! :) we booked the spa deluxe room so the tub is a Jacuzzi tub! both me n my baby had a good dip in it. however some amenities of the room needs change. the shower head, the tv control. oso realised the carpet was not properly vacuum over the 2 days we were there. The paid breakfast think was too simple. Just bread, some pastries, cereal, yogurt, kofi, tea n juices. Appreciate the friendliness n helpfulness of the staff. When told of our problems, they were resolved promptly. Overall happy with our stay.